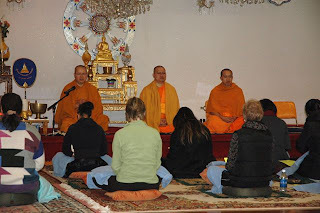 This meditation workshop is of the International Dharma Conference featuring Buddhist Masters, from the Theravada tradition,who had explained and discussed the Buddha’s most important teachings. 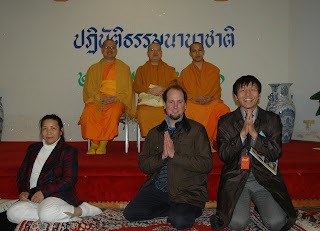 He led the meditation tecnique that designed for the mental detoxification and relaxation. 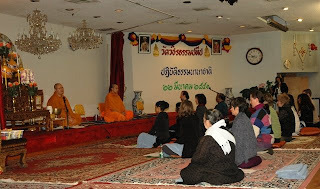 Meditation Workshop at Wat Thai,D.C. 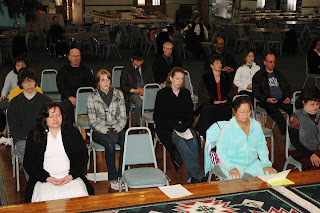 Meditation Workshop at IMF Building Washington,D.C. by Ven. 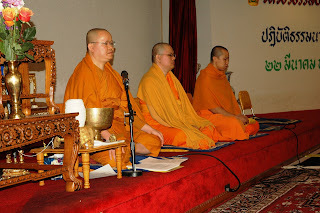 Dr. Thanat Inthisan, Wat Thai Washington, D.C. Some people prefer to sit on a hard, straight chair, but most sit on cushions on the floor. You can stack up two or three cushions, if that is more comfortable. Make yourself comfortable in any position you like. 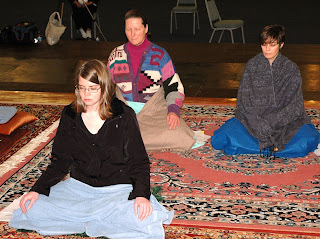 Usually we use the Lotus Position. Cross your legs – your right leg over the left. Sit upright. That is more important than anything else. Relax, don’t be stiff, then close your eyes and your mouth softly. Visualize that you are the boss. Set your mind to checking your muscles from your feet up to your head – up and down, back and forth. Makes sure that all of your muscles are relaxed. Start from your lower part, your feet to your naval, then central part of your body, start from the naval to the shoulders and the upper part of your body. 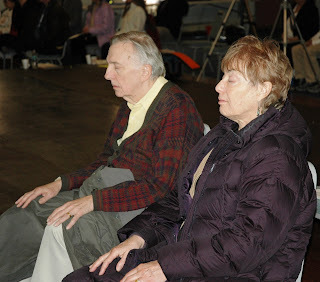 Next, we come to mental detoxification – cleansing the mind and body. 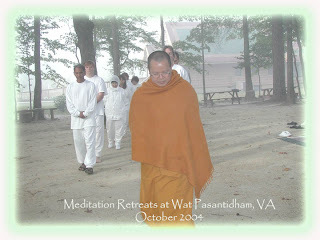 Mental detoxification is the technique for internal cleansing. Toxins enter the body through all six of the sensory organs Toxins are the cause of stress – the cause of sickness – the cause of laziness. We get rid of toxins through mental detoxification. Inhale good oxygen. Hold your breath a little bit, and exhale, with a sense of release. This is the technique for mental detoxification. Relax. Recite for yourself “release” every time you exhale. learn to know your breathing system. 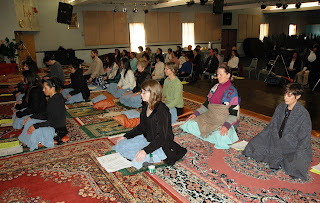 we have learned to know three rhythms of breathing – deep, medium and shallow. Knowing your breathing is useful for controlling your emotions. The more you keep cool and calm, the more peace and happiness you will attain. When you become hot-tempered and blow your top, you create more stress and feel even worse. All complete knowing – knowing your sitting position, knowing your body and relaxing your muscles, mental detoxification, and knowing your breathing rhythms. · knowing the great elements and knowing impermanence. 1. 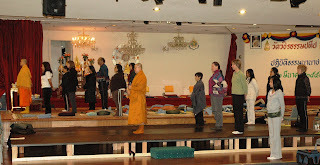 Setting a Platform at the Tip of the Nose For meditation, the mind should be settled in one place. 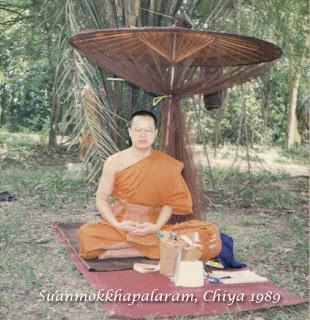 Thus, we set a platform or base-location where we concentrate the mind. Initially, we set this platform at the tip of the nose. 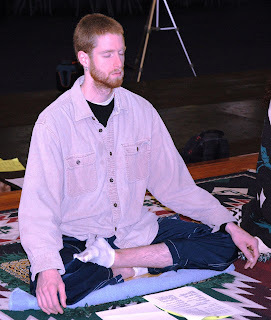 By counting with this technique, you can control your mind to stay at the platform at the tip of your nose. · Wholesome and Unwholesome thoughts by follow the mind. Don’t suppress these thoughts – analyze them. Learn to know about each thought – what, when, where, why, how, who, whom – and, why did this thought arise. · Cause and Effect by analyze the situation. Why did it occur? What are the reasons? · Staying Neutral. When analyzing, try to think like an observer. If you make judgments, you may have some bias, according to your likes, dislikes. Fear can, also, bias your judgment. So, don’t judge. Just observe. That is the proper way to analyze. 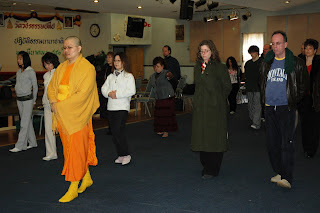 · Preventing Stress Prevention of stress is much better than trying to cure stress after it has arisen. 1. Sensing and Feeling Now, we move on to sensing and feeling. Sensing means receiving signals through our six senses. Filling refers to assessing a state in simple evaluation terms – positive, negative or neutral. 2. 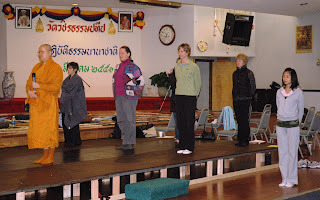 Recognizing Impermanence Be sure to learn something from each practice. 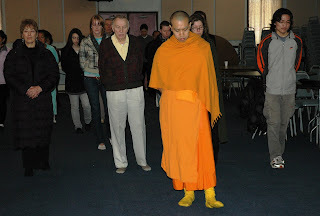 Most fundamentally, you should recognize impermanence, suffering and non-self. Finally, we come to letting go. How can you let go? Before letting go, you must know what are holding on to. What thought are you clinging to? Letting go means you are going to stop thinking about it. Since you cannot stop thinking easily, letting go comes from controlling, analyzing, sensing and feeling, and being mindful. When you develop mindfulness and control your mind, the conceptualization and thinking process fades away automatically. Don’t formulate ideas. Don’t judge. Just keep watching neutrally, without any desire. Just know, and then let go. Visualize working at your desk in your office. It is Friday evening and you are preparing to go home for the weekend. Clean out your drawer and discard what you no longer need. Set your belongings in order and memorize them. Then, close your drawer and lock it. Don’t take anything home. This is how to enjoy the weekend. It is the same with your mind. Letting go means not keeping anything in your mind. Let all your thoughts go. No more thinking. Just keep watching. 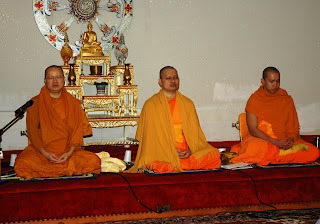 Ven.Dr.Thanat gives a talk on meditation. 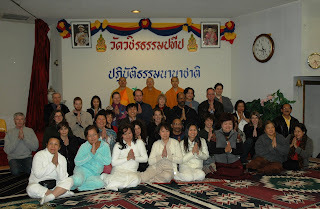 IMF Families Practice meditation at Wat Thai,D.C.